Les Shorrock as the fans saw him. Camera at the ready, eyes on the game. Source: Les Shorrock collection, Deakin University Library. Les Shorrock was one of kind. I knew him through the game of football with which we were both involved but this was only a part of an extraordinary life. Les arrived from England in January 1958 to be greeted by a Melbourne heatwave. He and wife Eileen and son Brian, and with another baby on the way, went through the migrant camp in Brooklyn. He worked as a manual labourer like many skilled migrants, and then had a variety of occupations. After couple of years the Shorrocks returned to England, but by May 1961 they realised they had made a mistake and came back to Melbourne. I started to count up the number of jobs/careers Les had or might have had, and gave up after about twenty. I can still imagine the sigh of relief in the Shorrock household when he decided he was not going to become a professional punter. Especially after his experience as part-owner of a greyhound which never won a race. They could not run it on metropolitan tracks so on one occasion they went to Hay in New South Wales, where the dog was favoured to win. But the trainer demurred because the price was too short. So the poor dog had the biggest drink of its life and waddled home last, while the trainer backed the winner to make enough to pay the petrol money for the journey home. 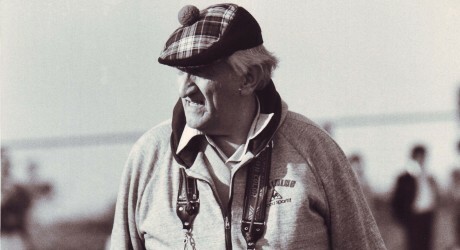 Even within the game of football he has been player, coach, club and league administrator, union leader or if you prefer head of a professional organisation, referee, journalist, radio broadcaster, photographer, editor, newspaper publisher, author, historian, agent for the football pools and general promoter of the game he loved. I suspect I may have missed something even here. Though he played the game in England and had a life long attachment to Stoke City, like many migrants from that country, he initially did not become involved with the game in Australia. Whether it was because he was trying to establish himself and his wife and young family in a new country or because he was quickly aware that the game in the 1950s lagged far behind that in Britain, Les did not use the game as an entry into Australian society as some others did. As he tells it himself, it was not till 1970 that a friend Ron Gibbs from Brighton in England, who had now moved to the USA and from there persuaded Les to visit him and go the World Cup in Mexico that year. That was probably the best World Cup ever, won by Brazil with Pele, Tostao, Gerson, Jairzinho and Carlos Alberto. Les saw England lose to Brazil and West Germany but the football bug had bitten and when he came home another friend Scott Frew persuaded him to join him on the committee of Sunshine City. In 1972 he became team manager as Sunshine was pipped for the title by Prahran Slavia. City came second again to Mooroolbark the next year, but finally won the league and promotion in 1974. 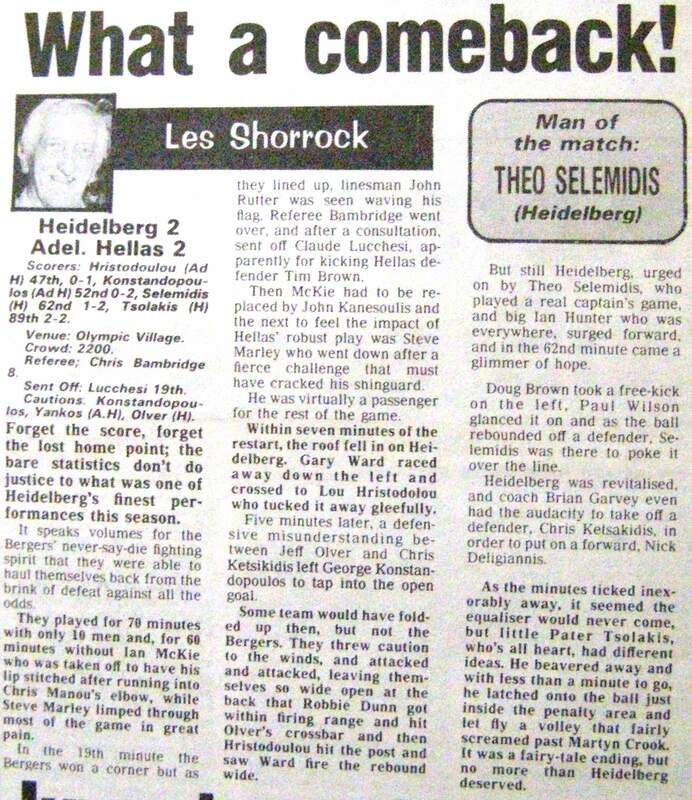 Very soon Les started writing about the game for the local paper so ‘Shorrock’s Soccer Snippets’ kept the fans informed. 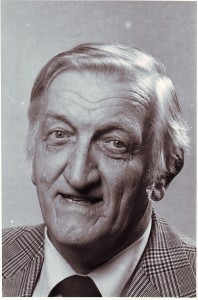 He then took over from Jim Barker as the soccer correspondent for the Sunday Press. He also did work on radio with Jose Montes and was for a while on the Victorian Soccer Federation’s Board of Management. In 1976 the indefatigable Laurie Schwab recruited him to be his offsider on Soccer Action. Because the photographs they were getting for the paper were very poor and/or very late, Les began experimenting himself and eventually learned to develop and print his own work so that they could meet their deadlines. A six-pack of beer and a toasted sandwich secured access to the dark room from the picture manager. Soccer Action never cost the Age money for pictures. As a casual on Soccer Action, Les held down a variety of other jobs to pay the bills, despite the fact that the paper took up a huge proportion of his week. Craig McKenzie, whom Les rates as one of the best journalists he has come across, joined the paper in 1979 and Craig these days contributes to Goal Weekly. 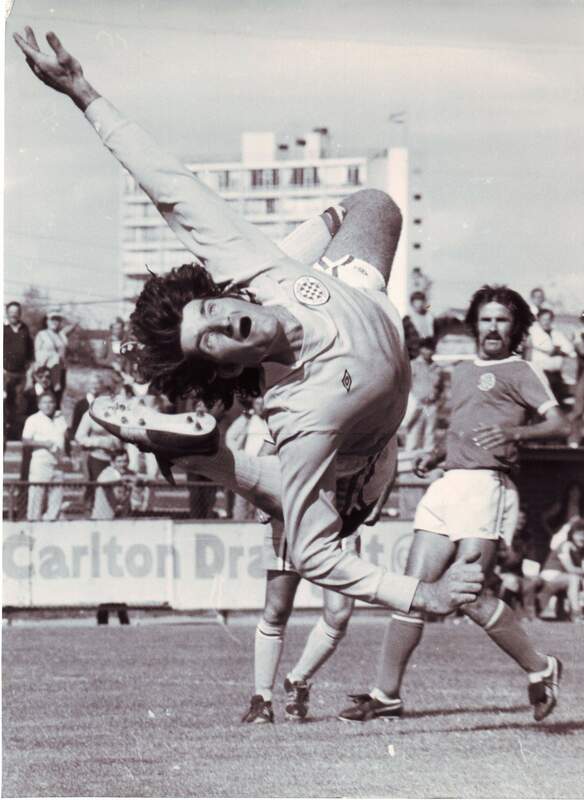 Les’s photographing skill improved to the point where he won the National Soccer Photographer of the Year award in 1982 for a brilliant picture of Peter Blasby making a flying save. He also won the same award in 1984 and 1985. 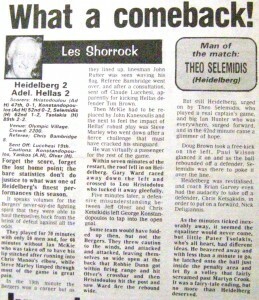 Les Shorrock's last column for Soccer Action in 1987. In 1981 he toured Israel with the Young Socceroos as Australia prepared to host the World Youth Cup for the first time in October that year. Australia upset the mighty Argentina with a late goal in their opening match and the players and some supporters reacted badly. Les was on his knees taking pictures, including one of the Argentinian skipper spitting at him, which went round the world. The Age sports editor told Les, ‘Send more violence’. Football was looked down upon in those days and any chance to treat it as foreign or violent was seized upon. Though Australia did not make it to the World Cup in Spain in 1982, Les did and was the official photographer for the New Zealand Herald as a result of work he had done during the qualifying competition. He took Eileen with him and they had a marvelous time in Spain. Laurie Schwab left Soccer Action in 1986. Craig Mackenzie took over as editor and Les became assistant. After only eleven issues in 1987 however the Age decided to close Soccer Action. Les and Craig were told to take all the magnificent collection of material they had assembled to the tip. Incensed, Les loaded some 20,000 photographs into the back of his Volvo station wagon to save them. Later he donated them to the Australian Soccer Federation, which in another act of wanton destruction decided to send them to refuse disposal. Luckily Helen Schwab and I got to hear of this and had them shipped back to Victoria. Meanwhile Les continued to contribute to Australian Soccer Weekly in Sydney but he was determined to launch a paper of his own. Taking great risks and against the best advice of many of his friends he and three colleagues launched Soccer Star, which ran for two years and gave an opportunity for Rob Nelson and myself among others to write on the game in Victoria. Rob’s piece was called Nelson’s Column. Les continued to work for the Age, both doing the real estate pictures and copy and producing a series of superb football photographs every week. His tartan bonnet and tall, slightly stooped figure was a fixture at football matches until his knees gave out and he retired in 1995. 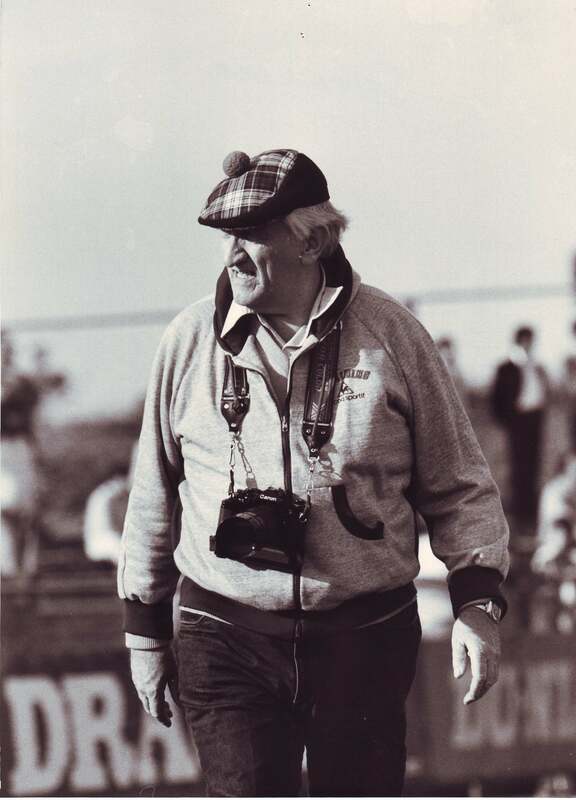 Les came from a generation of football writers who were passionate about the game and what it meant. People like Andrew Dettre, Laurie Schwab, Kyle Patterson, Craig Mackenzie, Peter Desira. What united them was that they tried to uphold the standards of what was possible in this sport, what my Croatian friends call ‘the most important of the unimportant things in life.’ So their criticism was always intended to promote not denigrate the game, to defend it when it was under attack and did not deserve it but to hold it to account when it did. It was often uncomfortable when they had to draw attention to cases where their friends fell short, but they accepted the duty. Football as we all know is a game of opinion, strong opinions, and Les held very strong opinions, and never feared from expressing them, no matter what the cost. Les was assiduous, careful in his fact gathering, clear and precise in his writing and he could make the game and its people come alive in words as well as pictures. At the Age Les’s nickname was ‘Roundball’ and when his former colleague Wayne Hawkins put round an email to the sports section saying Les had died he was surprised as the lack of response. So he sent a second saying ‘Roundball’ has gone and was inundated with stories and memories from the journos and others who remembered him. Les has left us a huge legacy in the volumes of Soccer Action and Soccer Star which will be the sources for anyone interested in the history of the game and the social history of Australia since the Second World War, and the thousands of photographs preserved in archival conditions at Deakin University’s Waterfront campus in Geelong. Les Shorrock. Source: Les Shorrock collection, Deakin University Library. A feisty and independent spirit he survived at least three bad car accidents, including an encounter with the Geelong flyer in which he was seriously injured. His contribution to the game as a photographer and journalist is second to none. Virtually every player who has turned out for the leading clubs in Victoria and Australia will have a Les Shorrock picture in his photograph album. Last year his work was at the centre of a photographic exhibition on the history of the game at the National Sports Museum during the World Cup. His autobiography, My Charmed Life, gives a wonderful account of the sheer range of activities in which he was involved in the United Kingdom and Australia. The award for the best photograph of the year by the FFV is named for Les Shorrock. Les could not have done half the things he did without the woman who loved and lived with him for 57 years. Eileen Shorrock is probably the only person in the world who could have coped with Les and kept him going when things were tough. I always think these programs on footballers wives are totally divorced from reality. You never see them washing the strip, serving in the canteens, acting a club secretary as Eileen did at Brighton, winning the clubman of the year award in the process and writing up match reports for the Metropolitan League. Les and Eileen did have some very tough times, losing their daughter Judy to cancer when she was far too young. Yet they turned that adversity into something positive with a substantial fund raising for the Victoria Cancer Council, something to which I hope you can all contribute today. ← The next financial crisis?